There are some people who have suggested a prequel centered on James Gordon’s time in the military, which would provide a chance to look into how he became who he was at the start of the series. With that said, said series would be the prequel to a prequel, meaning that it might prove to be frustrating for some people who would prefer to see the series move forward rather than backwards. For that matter, even if they are willing to consider a prequel to a prequel, they might be one of the people who think that another character such as Alfred would make the better choice. Unfortunately, while there is actually a series centered on Alfred that is being developed at this point in time, it isn’t a Gotham spinoff. Gordon might be, but he isn’t exactly what anyone would call a standard member of the GCPD. As such, it might be interesting to have a spinoff centered on more standard members of the GCPD, particularly if that comes with a chance to explore other elements of the legal system in Gotham City as well. On top of this, different times for such a spinoff could make for very different stories, thus making for a potentially useful measure of flexibility. In certain Batman works, Bruce Wayne headed out on a training trip before returning home to Gotham City so that he could put his new skills to use. 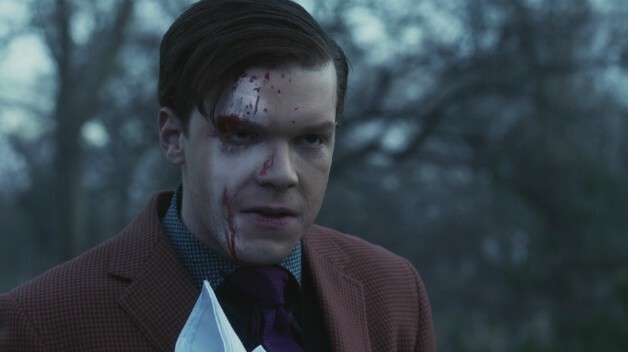 Theoretically, a spinoff focused on this period could prove to be interesting, though it would come at the cost of removing a lot of the familiar elements from Gotham. With that said, this part of the Batman mythos isn’t settled in stone, meaning that it could be interesting to see what creative figures come up with when given even greater creative freedom. The most natural choice for a spinoff to Gotham would be one centered on Bruce Wayne as Batman. The likeliest option would be a relatively young Batman rather than the older figure that fans have sometimes affectionately nicknamed “Batdad” who presides over an entire team of superheroes with similar themes. However, a spinoff that proved to be successful enough could certainly move towards that direction over time. A Batman spinoff has a serious weakness in that it has been done enough times before that people might not be particularly interested because they have seen the same basic story elsewhere. That said, it is far from being entirely hopeless, seeing as how Gotham has laid the foundations well enough that it is very much its own particular interpretation of the Batman mythos. Due to that, it seems safe to say that a Batman spinoff would be more than capable of standing out on its own as well. Various characters have taken up the name Batgirl. For example, there was Betty Kane, who was invented in the Golden Age to serve as a sidekick for the first Batwoman. Likewise, there is Cassandra Cain, who has since gone to use a number of other names. On the whole, there can be no doubt the the most famous Batgirl is Barbara Gordon, who would be James Gordon’s daughter in standard Batman works. A spinoff centered on Batgirl would possess a number of important advantages. One, it would provide the spinoff with a clear connection to both James Gordon and Bruce Wayne. Two, it would be something familiar that is nonetheless capable of standing out, seeing as how Batman series tend not to focus much on the Batman-associated superheroes other than the first Robin. On top of this, it is worth mentioning that James Gordon’s son James Gordon Jr. is a supervillain in the comic books, meaning that bringing said character into the hypothetical series would be a very easy way to create a hostile character with a lot of emotional weight invested in him.